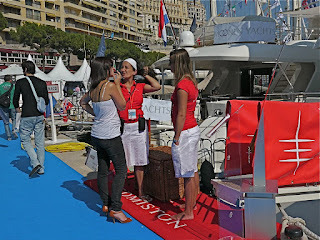 Monte Carlo Weekly Photo: Monaco Yacht Show - Saving your Feet! 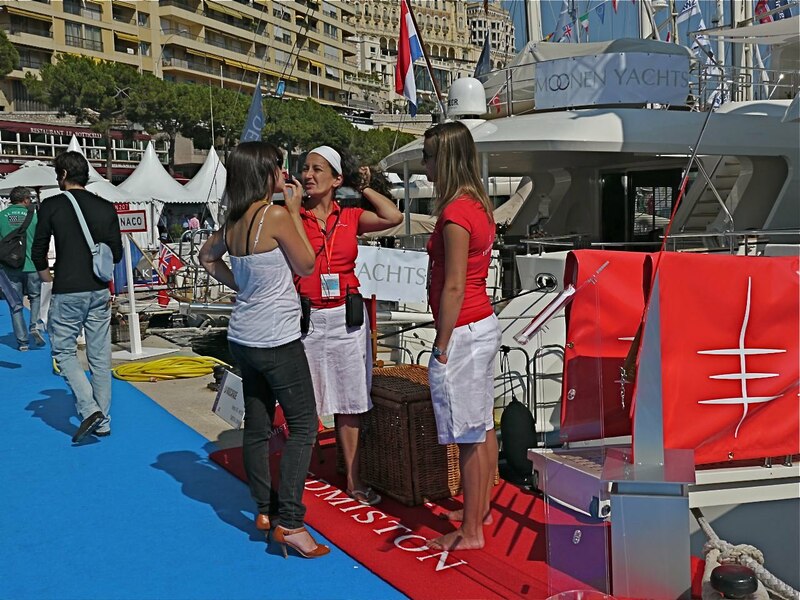 The Monaco Yacht Show! Nothing quite like it in the world. It will go on for four days, with 28,000 visitors expected. There are 500 companies displaying their wares and of the many boats in Port Hercule, 100 are super yachts up to 90 metres long. The centre of the port has several floating pontoons and it's easy to walk several kilometres getting from one area to another. 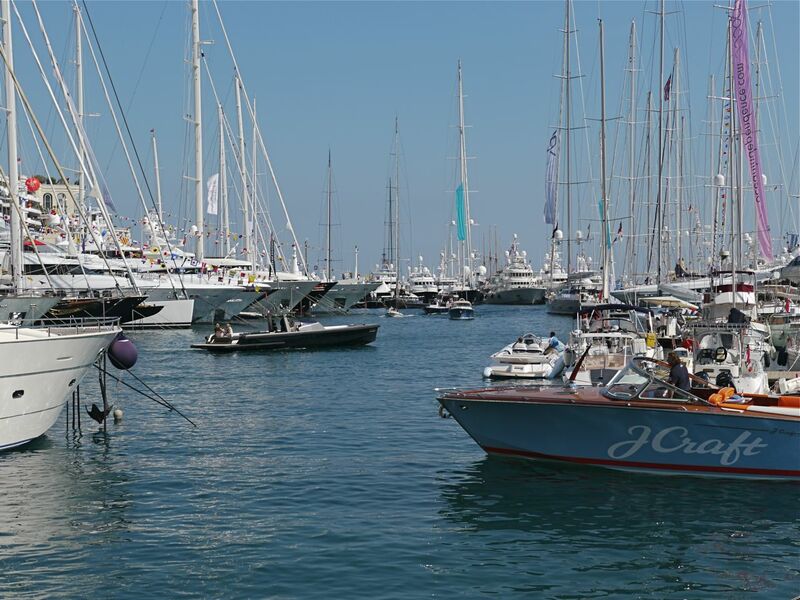 Happily there are small speedboats that whizz you from one part of the port to another. You can see two of these in the main photo. 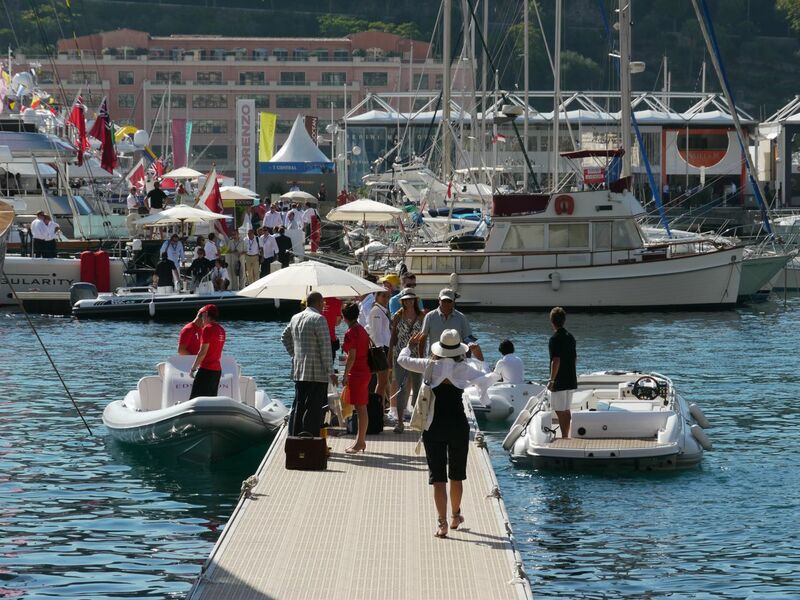 These are free and it's the best fun in the world hopping on and off and whizzing about amongst the mega yachts. there is a lot of money floating on those waters, reflects what is going on the roulette tables there. 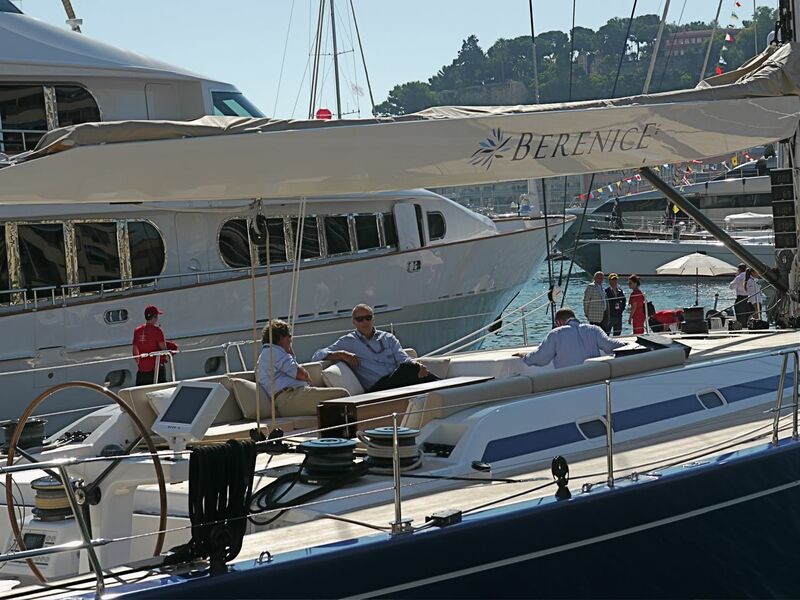 Ahhh, the yacht show! Extraordinary! I understand you met the same CDP blogger whom I met in Oslo this summer! Fun! Leif, yes it was great to meet Gunn and her lovely husband. Isn't CDP great!